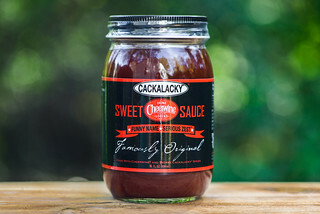 A deep tomato flavor with a strong vinegar tang dominates this sauce to a fault, diminishing some of the other seasonings you can taste trying to get out. 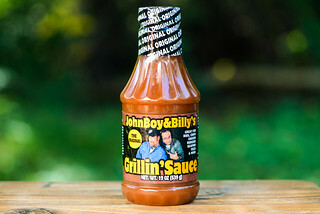 The folks at Kingsford gifted me this sauce while when they hosted me for a week down in Decatur, Alabama, which was spent learning the ropes of competition barbecue from the man heading the Big Bob Gibson empire, Chris Lilly. Chris is the latest in the Gibson family (his wife is Big Bob's great granddaughter) to helm this Decatur mainstay. 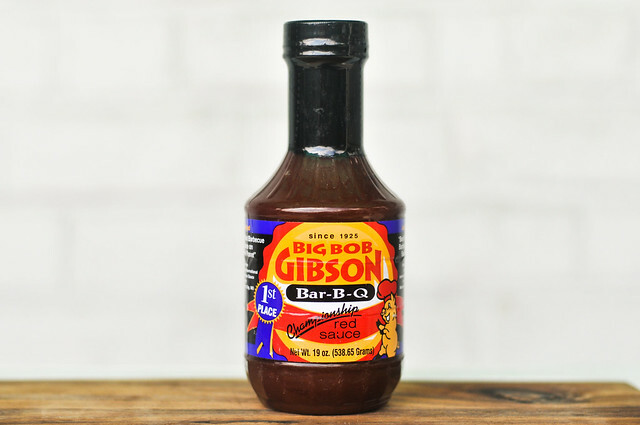 Started in 1925, Robert "Big Bob" Gibson first served barbecue at a makeshift table in his backyard. From there he expanded to a full restaurant, with his lineage still overseeing operations there, as well as a couple offshoot Gibson restaurants. Beyond the restaurant, Chris Lilly has brought the Big Bob name to the competition circuit, where he's won top honors in many of the biggest events around, including Memphis in May and the Jack. 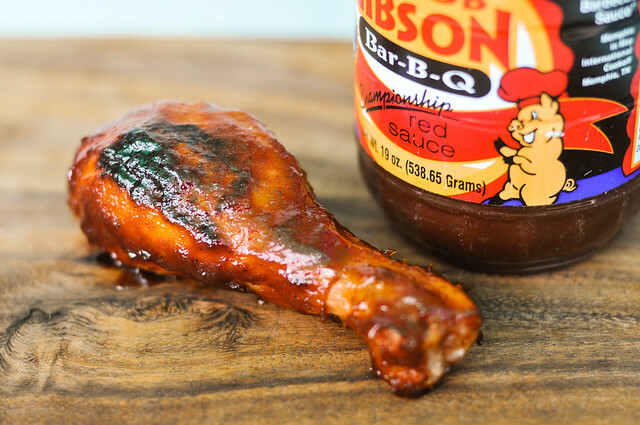 Big Bob Gibson's current sells three varieties of sauce and one rub. A super vinegar aroma gives a slight burn to the nose on first whiff. This extra tanginess is the most prevalent smell here, but there's also a heavy tomato component at play, as well as a slight molasses sweetness. The medium thick, maroon sauce has a slight texture to it, with a stray veggie chunk here and there, but not much spices to be seen. It flows quickly and freely from a suspended spoon at first, then slows with a few final globs falling, leaving only a thin coating of sauce on the spoon. Vinegar and tomato are the heavy hitters. The vinegar isn't as dominante as you would think based from the aroma, instead mixing fairly equally with a deep, but not very sweet, tomato flavor. 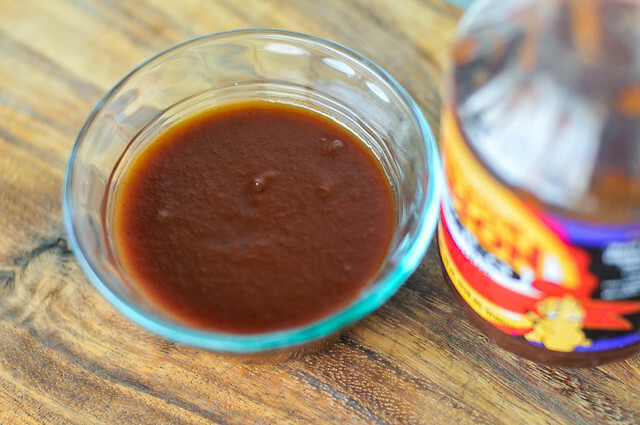 As the sauce settles on the tongue, the sweet molasses diminishes the vinegar a bit, and you start to pick up some of the other seasonings like Worcestershire, soy sauce, and onion. Once the sauce has left the tongue, there's a slightly off aftertaste that I can't quite put my finger on, which may be one of the two steak sauces listed in the ingredients. The sauce first coated the chicken lightly, but built up nicely over subsequent brushings. It baked in well, with little caramelization, but some burning over direct heat. More sweetness was coaxed out of the sauce after cooked, but a tangy tomato flavor still prevailed. There wasn't much heat to talk about, and the other more minute seasonings seemed to get lost. Competing in ribs at the Decatur Riverfest, we used Big Bob Gibson's Red Sauce as a base, mixing in fruit and more sugar to create something we thought would be in line with the judges' taste. I think this a perfect example on how to use this sauce. Overall, I think it's just ok out of the jar—the balance tips too far to vinegar, masking some of the other flavors in there, and making the sauce fall a little flat. It does, however, leave a lot of room for tailoring it up in your own way. I personally would add a little extra sweetness and some more spice, which would then make it really stand out on a rack of ribs or doused on pulled pork. Have you ever made his red sauce from the book? 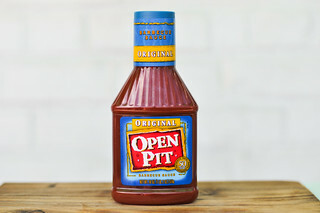 I'm wondering how close it taste to the jarred sauce. @Chris I haven't tried the sauce recipe in the book, but from looking at it I would bet that recipe would produce a better sauce than what's in the bottle.